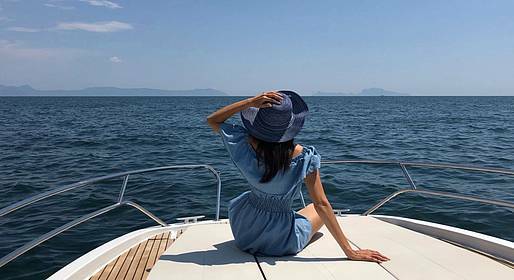 An unforgettable day at sea off Capri, departing from the Amalfi Coast and stopping to swim and enjoy an aperitivo on board. "CF Kit": Action Cam with micro SD souvenir, selfie stick, Bluetooth stereo, and USB port to charge devices. You choose departure from Maiori or Amalfi, and the tour lasts around 8 hours. We provide a motion camera for capturing photos and videos during your tour, and the micro SD with your day's memories is yours to keep! Don't forget your swim suit, sunblock, and a hat.